In phonics we will be identifying words that have the long u sound. We will also identify rhyming words. Upcoming math will consist of estimating numbers and comparing numbers to one million. 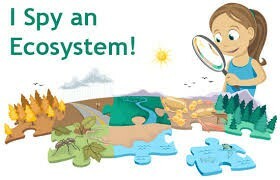 In science we are going to be learning about living things and their role in an ecosystem. Writing next week will consist of pre-writing and drafting their first narrative story. I have asked that this story be fiction and contain a hero/villain and a problem/solution. In social studies this week we are going to be taking a look inside the lives of the first MO Native Americans. We will researching facts about their tribe and find an artifact that would of been important to them during that time. In reading we will be reading and working on various skills using Ruby Holler by Sharon Creech. We will also be working on sequencing during small group. Hello everyone! I can't believe that another full week is under our belts. Time flies when you're working hard. 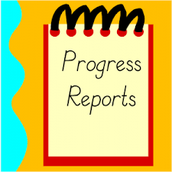 Mid-Quarter Reports will be sent home this afternoon. I have personally written on all of them. We have had a great start, and I am very grateful. I have listed both strengths and weaknesses on everyone's. This is the time of year that miscommunication happens if you don't call, text, or email me with your questions or concerns. Please remember that this is just MID-QUARTER. Your child has 4 weeks to build on their skills and improve on their areas of concern. Friday is Sock Day in our classroom! After a full week of work, work, work, it's time for some comfortable relaxation while working some more. I have asked the kids to wear socks if they plan on taking their shoes off in the classroom. Friday, September 23: Language Arts and Math Quiz over skills taught throughout the week. We have no birthdays in September, so I am going to use this section for shout outs. I am so proud of Katy because she was chosen as the Blue Ribbon Character Writing for the story that she wrote about solving problems respectfully. Katy's writing is displayed near the office on the Blue Ribbon Writing Board. A BIG shout out to the class for all of their hard work and dedication this week while we completed some testing on line. The testing wasn't easy, it took quite a bit of time, but the results will help guide their instruction in the coming weeks. If you have any questions or concerns about the testing, please feel free to contact me. The Notables Choir for 2016-2017 have been chosen and the students have been notified. Please look for upcoming information from Mrs. Backes.